Non-Surgical Spinal Decompression is a revolutionary new technology used primarily to treat disc injuries in the neck and in the low back. This treatment option is very safe and utilizes FDA cleared equipment to apply distraction forces to spinal structures in a precise and graduated manner. Distraction is offset by cycles of partial relaxation. This technique of spinal decompression therapy, that is, unloading due to distraction and positioning, has shown the ability to gently separate the vertebrae from each other, creating a vacuum inside the discs that we are targeting. This "vacuum effect" is also known as negative intra-discal pressure. The negative pressure may induce the retraction of the herniated or bulging disc into the inside of the disc, and off the nerve root, thecal sac, or both. It happens only microscopically each time, but cumulatively, over six to eight weeks, the results are quite dramatic. The cycles of decompression and partial relaxation, over a series of visits, promote the diffusion of 1. water 2. oxygen and 3. nutrient-rich fluids from the outside of the discs to the inside. These nutrients enable the torn and degenerated disc fibers to begin to heal. Non-Surgical Spinal Decompression is very effective at treating of back pain, bulging discs, herniated discs, pinched nerves, sciatica, radiating arm pain, degenerative disc disease, leg pain, spinal stenosis and facet syndromes. Proper patient screening is imperative and only the best candidates are accepted for care. The most common spinal condition treated with decompression treatment is a herniated or protruding disc. Spinal compression can cause disc herniations to expand, putting pressure on surrounding spinal nerve. Decompression treatment takes the pressure off these damaged discs so that the disc bulge will shrink back closer to its original size. Degenerative Disc Disease is also a common condition treated with decompression therapy. Loss of disc height can be exacerbated by spinal compression, causing the vertebral bodies to move closer together. This can cause nerve compression and other forms of common back pain. 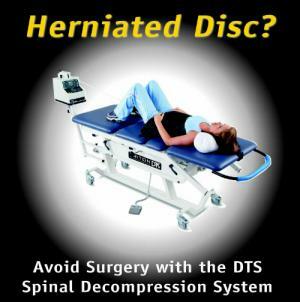 Decompression eliminates the overwhelming pressure on degenerated discs reducing or eliminating painful symptoms. Facet syndrome is yet another condition treated with spinal decompression. Of all the conditions, this one shows the least promising results for permanent pain relief. Conceptually, facet syndrome causes pain due to arthritic changes in the vertebral bones. Decompression helps to create more space between the vertebrae, hopefully reducing painful symptoms. Non-surgical spinal decompression is responsible for cracking the back pain code for thousands of FORMER pain sufferers. Many previously tried everything and were thought to be hopeless cases. So many that were told - “We’ve done all we can do for you, you’re just gonna have to live with the pain,” are now pain free. After a significant amount of research, Natural Spinal Care chose the Triton® DTS system manufactured by the Chattanooga Group, the premier manufacturer of physical medicine equipment. In fact, the new Triton® head is so revolutionary that it won the Australian Design Award in the Medical and Scientific category. It is also the system that the University of Texas purchased for the treatment of its world-class athletes. We also selected the Triton® DTS systems due to their ability to treat discs in both the neck and the low back. Countless failed back surgery patients have finally found relief after surgery made them worse. With this new technology, it’s obvious they may have never needed surgery in the first place. The fact is: back surgery has had disappointing results and is very risky. One possible side effect is your pain gets WORSE. Another: PARALYSIS. A third: DEATH. A multi-center clinical study showed non-surgical spinal decompression to be successful (good or excellent relief) 71% overall1- without the side effects. By contrast back surgery success when the sufferer has leg pain is only 12% successful! And failed back surgery syndrome (FBSS) is seen in 10-40 percent of patients who undergo back surgery. Failed back surgery syndrome is characterized by intractable pain and varying degrees of functional incapacitation occurring after spine surgery. Another study of 575 patients with lumbar disk herniations also showed poor outcomes. When surveyed 4 to 17 years after their surgery, 70% of respondents said they still had back pain (Spine 1988, 13:1418-1422). 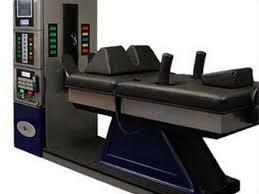 Non-surgical spinal decompression has shown lasting results. In one study done by an M.D. 52% of the patients (who had chronic discogenic back pain) who responded had a pain level of zero, 91% were able to resume their normal daily activities, and 87% were working or were retired without having back pain as the cause of retirement2. The study summary stated: Among 23 patients, 71% showed more than 50% reduction in pain immediately after treatment, and 86% showed a 50% or better pain reduction at four years. "After four years, 52% of respondents reported a pain level of zero. Thus, pain relief not only lasted but improved," reported Robert H. Odell Jr., MD. Ph.D.
Why is that so amazing? Herniated discs were thought to be just about untreatable without surgery before the introduction of this incredible new technology.In comments to Anesthesiology News, David P. Seamans, MD, of the Mayo Clinic Scottsdale, in Arizona, said that "there are millions of people suffering from low back pain, and many are not adequately treated. We don’t have all the answers in allopathic medicine, so there is always a need for new therapies2." Even better, treatment with this space-age non-surgical technology is painless, drugless and there are no documented side effects. In fact, many patients report the treatments are so relaxing…they actually fall asleep. A very important note: Non-surgical spinal decompression has been successful with even the most severe cases…even when NOTHING else has worked. Even after failed surgery. 1.Gose E., Naguszewski W., Naguszewski R. Outcome Study: Vertebral Axial Decompression Therapy for Pain Associated with Herniated or Degenerated Discs, or Facet Syndrome. Journal of Neurological Research, Vol. 20, April 1998. Click Here for medical studies that document the effectiveness of Spinal Decompression Therapy. Click Here to listen to some of our patients about their success with our Spinal Decompression Program.